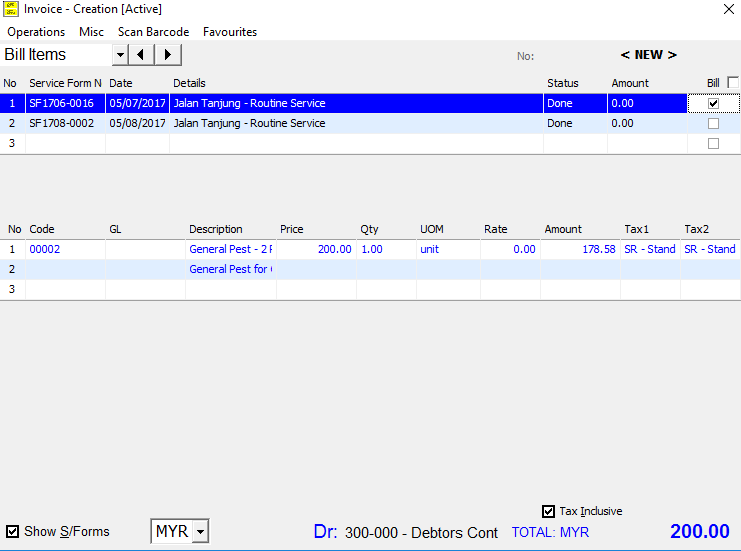 For an Order with multiple services address, it will have 2 ways to do billing. 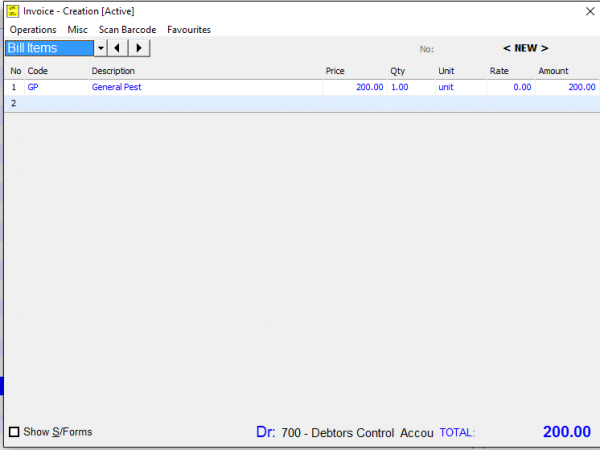 1.Billed by individual service address (one set title). 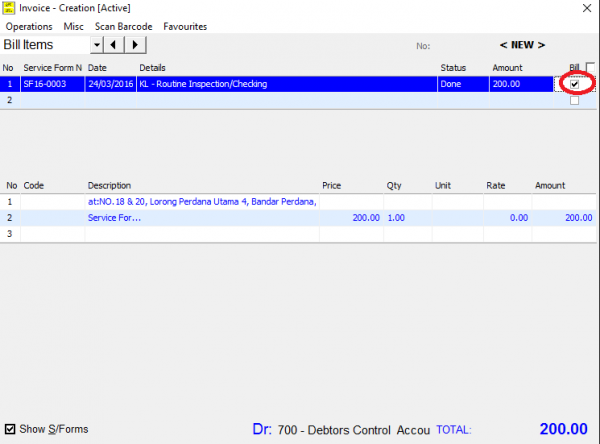 Select New Bill – Invoice. 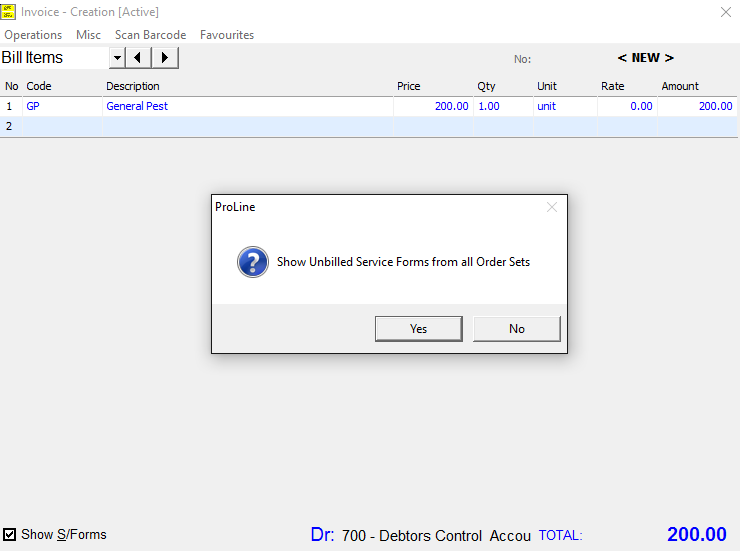 Select which set title to bill by entering number 1, 2… inside the box and click OK.
Key in invoice detail by referring http://www.datumcorp.com/proline/docs/creating-invoice. 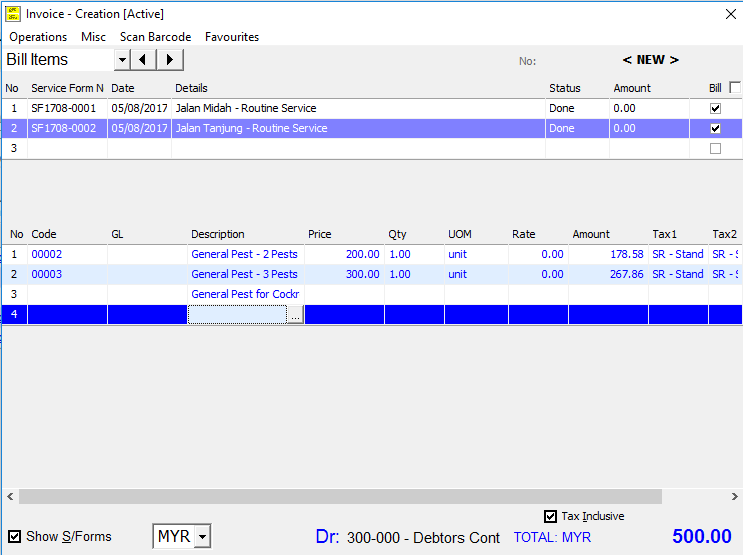 Then, tick Show S/Forms, select No at the pop out message. Then click Print or/and Save. 2. Billed by multiple service address (multiple set titles). 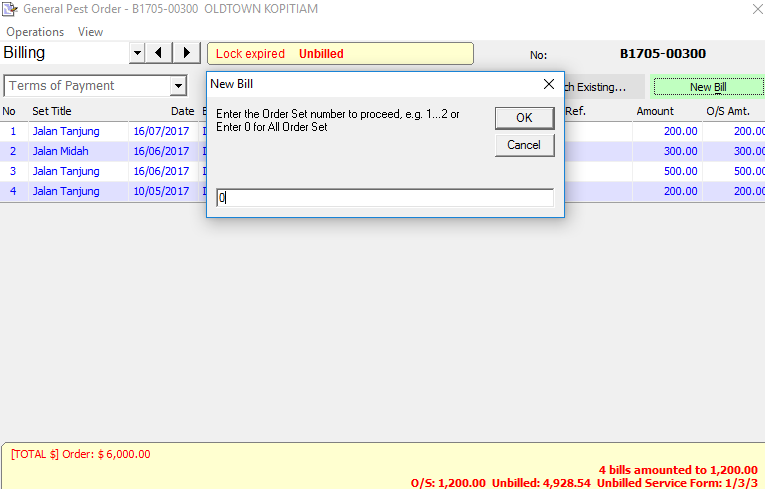 After select New Bill, key in 0 at the pop out message to bill all the set titles in one invoice. Select Yes at the pop out message. Select service forms from multiple set titles. Then, select Print or/and Save. 3. Go to Order Sets – Schedule. 4. Right click specific schedule and attach Service Form. 5. 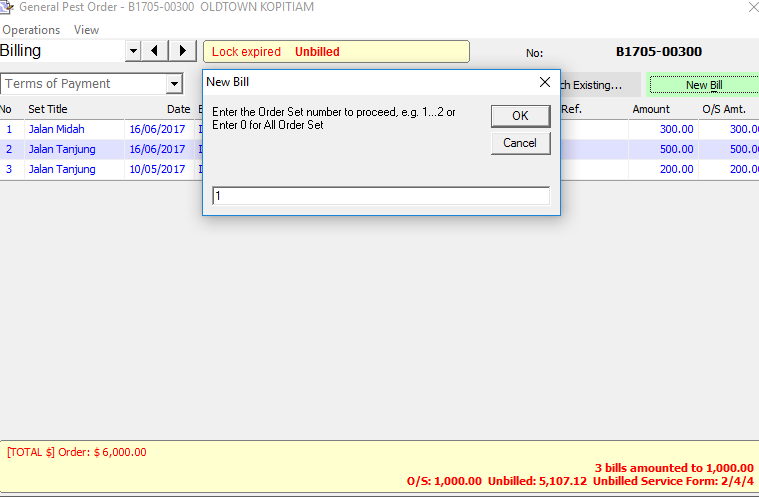 At the Order, go to Billing, click New Bill. 6. Invoice will pop out. 7. 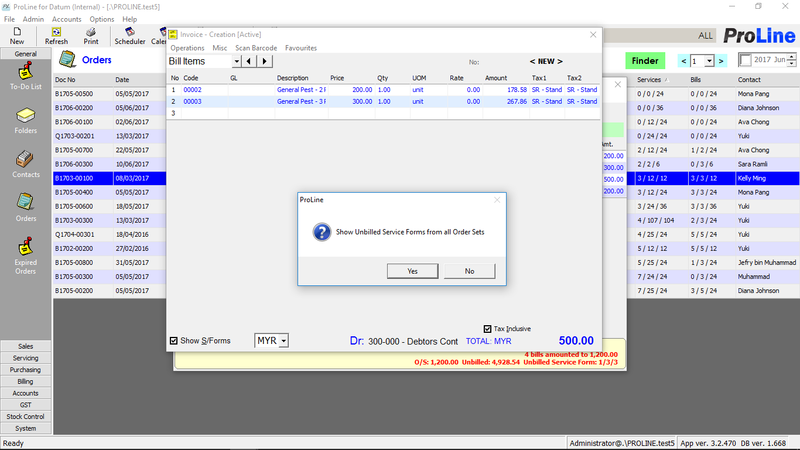 Click Show S/Forms, then will pop out Show Unbilled Service Forms from all Order Sets, click no if just want the Service Form for this specific schedule. 9. Tick Bill at Service Form if required billing. 10. Then click Save for the invoice, and click save for the Order. 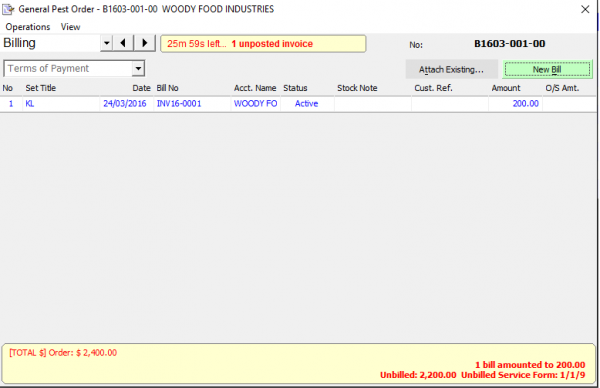 Can I tick ‘Post to Handler’ to our company when recording reimburse expenses? 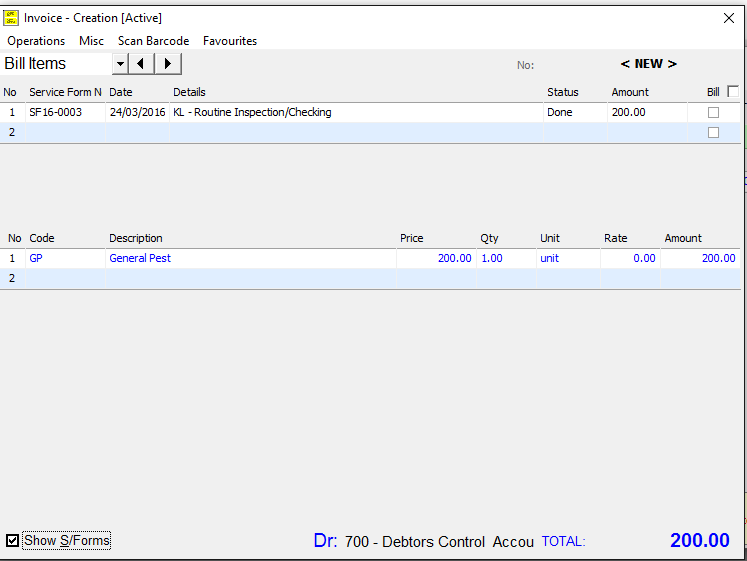 I found that it fails to ‘Post to Handler’ for a Company, after recording each tax invoice as usual, because it is set as ‘Office’ instead of ‘Supplier’. I have made a changes for that. Please advise whether it is appropriate to record the reimburse expenses by recording each tax invoice as usual, then ticking ‘Post to Handler’ to our company. 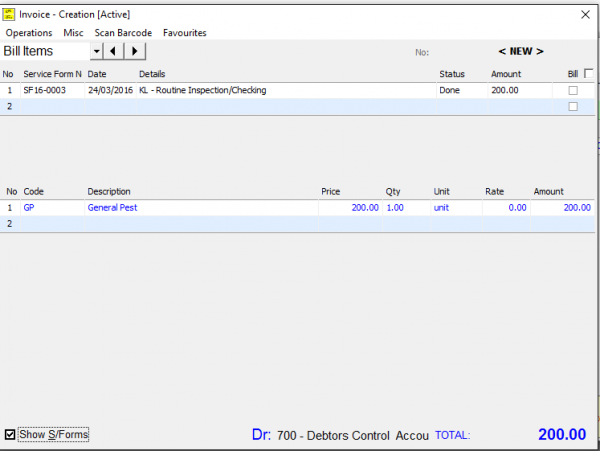 What to do if the system does not show Invoices while issuing receipts? Check the invoice date. Is it in the future? If so, you need to future date the receipt to match the invoice.